Participant in River Bridge. Rainbow. weaves web across the Los Angeles River . 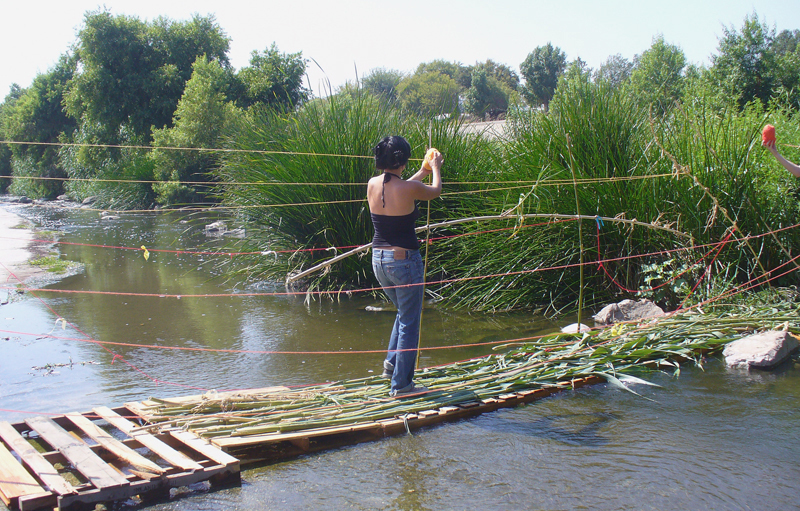 On July 3, 2010 the Llano Del Rio Collective built a bridge to an island in the Los Angeles River. River Bridge Rainbow. We wove a web from land to island and declared the ways we participate in creating an other LA. Later we crossed to the island, read a manifesto and broke bread. The bridge to the island remained until the river washed it away.